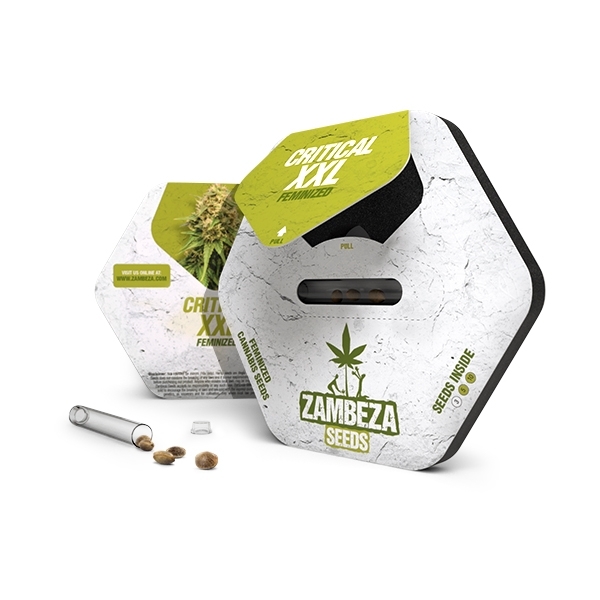 With stellar parentage, Critical XXL will satisfy the demands of the most exacting cannabis enthusiast. The uncanny final yield weights in such short time are sure to put a smile on the face of any grower. Experienced or novice this plant is a must try. Indoors expect up to 650g per square meter of swollen buds in under two months. Outdoors, given a little root room, expect more vigorous side branching with large colas on every branch to match the heavy central flower cluster. These plants can stretch to 2.3 meters when mature. It is very important, whether indoors or outdoors, to provide plenty of support for the heavy resinous flowers as they are maturing. Stakes or netting prevent branches from twisting or breaking under the sheer dank weight of this masterpiece of the cannabis breeders art. If you like your indicas really indica, then you will love the dense bud formation from the double dose of Afghani genetics in this breed. The indica heritage in the Skunk is given an indica turbo charging with the new Afghani parent. Also, bringing the height right down, condensing the buds and shortening the flowering time considerably to plus or minus fifty days. The viscous, gently radiating physical effect of the indicas is a luscious foundation for the distinctive spicy, cloved burnt orange peel flavoured cerebral zing of the tropical sativas deep in the genes of the Skunk parent. 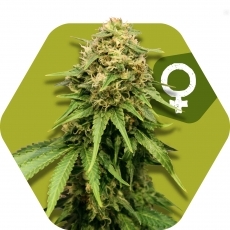 Select, hash type, dense, quick growing, mountain born Afghani cannabis plants have played a significant role in the development of contemporary cannabis breeds. Back in the seventies it was Afghani hash plants used to modify South American tropical sativas that brought about the much renowned Skunk #1. Skunk itself is a celebrated breeding stock. Being one of the first of a new generation of stabilized marijuana strains that delivered the best of the sativa and indica worlds in both growth and effects. Critical XXL is the delicious result of blending these two legendary strains. The definitely indica-dominant broad leaved plants when treated well can develop THC levels of 19% held within a carpet of glistening swollen trichomes. Mesmerizing bouquets develop as the plants enter their final stages. Clusters of calyxes so swollen they almost turn inside out. Critical XXL should be on every grower's bucket list. Comment : Cette variété est très facile à faire pousser, Une floraison courte pour un rendement toujours impressionnant, Pour moi c'est la meilleure, sans concurrence. Je recommande. Title : Auf Critical kann man sich verlassen! Comment : Recht schnell fertig, Ertrag ist in Ordnung und das Aroma ist gut. Neben Candy Caramelo FF ist Critical ein Strain der immer geht und immer in einem Grow dabei sein sollte. Wird wieder bestellt.